Years ago, Google introduced a product called "Google Trusted Store". By giving Google access to your order history and shipping data, they were able to verify that you were a "trusted store" because you offered good customer service and they had data to back up that claim. Over time, this product was retired and replaced with Google Customer Reviews. There were many reasons that the old Google Trusted Stores program was retired, with the main reason being that it was just difficult to set up and it excluded slower merchants because the volume requirements were high. You can now enable the Google Customer Reviews program regardless of store size or sales volume. 1) What happens if a site already uses customer reviews from a company like Shopper Approved? Would Google Reviews replace it? Shopper approved could run the same time as google reviews, but on the confirmation if you have multiple popups it can get ugly (Google pops up to see if the customer wants to opt in). Depending on how much is being done with Shopper Approved, Shopper Approved is a bit more full featured than Google Reviews is right now. Google Reviews's main gain is getting stars on the site (if you don't have something) and more importantly will get star ratings on Google Adwords ads. 2) Is there any way to leverage all of the Yahoo merchant reviews (from customers) that we have? Can we convert those to Google Customer Reviews. Is there an option to make that happen? No, there is no option to convert anything into Google Reviews. 3) Are Google Reviews better than Bizrate? Can I use Google Reviews with Bizrate? 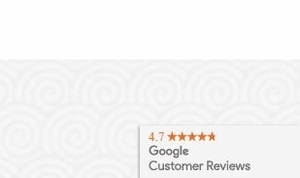 Bizrate can be used as well with Google Reviews. Google still picks up Bizrate reviews currently but long term we're guessing Google will give more weight to their own reviews and they may also use the Google Reviews potentially in more places (i.e. Google ads won't show stars based on Bizrate reviews as an example). 4) Why is there a hosting charge? In addition to the scripts we need to host, the installation requires an additional SSL which we handle and renew on your behalf. The monthly hosting charge also includes all future updates which will be required as Google makes changes to the program. This product is not available for individual hosting on your servers. It is designed as a SaaS (Software as a Service) model. Updates to the Google Customer Reviews program are deployed to all customers who are subscribed to this service. The SaaS model is not only designed for your website security, it allows us to make sure that you always receive the latest code updates.